I have a certificate for O2 shares. Have they any value? O2 was taken over by the Spanish telco, Telefonica in 2006 at £2 cash per share. If you have not received this money then you may be a dissenting shareholder and should be able to claim the cash. It is probable that you moved and did not tell the Registrar of your new address. O2 was formed as Cellnet in 1985 and became a wholly owned subsidiary of BT (British Telecom) and re-branded as BT Cellnet. This was the beginnings of mobile phone networks, at least in the UK. The company was spun out of BT in 2002 to become MMO2 and shareholders received 1 BT share and 1 MMO2 share. MMO2 was subsequently renamed O2 in 2003 and in 2006 was purchased by Telefonica at £2 per share cash. Ironically BT Group has recently (2015) bought EE which is the largest UK mobile network operator with approximately 28m customers to return to the mobile arena. EE (formerly Everything Everywhere) was owned by Deutsche Telekom and Orange. Thanks for the comprehensive reply. Yes that is correct – I did move address so perhaps I did not receive some documentation relating to this from the registrar. So I should contact them directly by phone? What sort of information would they need? Also is it possible for me to calculate roughly how much I might be due, based on the information on my o2 share certificate? I don’t really have much understanding of this process so the more (and simplistic) info you can give me the better. 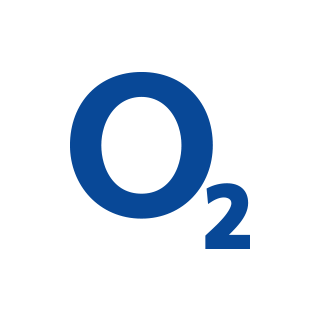 Interesting history of o2 as well – someone was saying to me the other day that they thought BT owned o2, I completely dismissed the comment but it seems that it was indeed the case at one point. Out of interest, is it possible now to purchase shares in telefonica, what do you think of them as a company now? As I once had shares in o2 it would it make sense to get some cash back from them (Assuming thats how it works) and tehn purchase some telefonica shares? What else do they do as a company? Are they in any other markets, or part of a larger group or something? You can contact the O2 registrar by phone, email or letter, whichever you prefer. If you phone you need to have your certificate to hand. Tell them you have changed address. As for how much you will get, it will be the number of O2 shares multiplied by £2. There will not be any fees. There are only three main registrars covering virtually every UK quoted company. Their contact details can be found in the answer above if you scroll up this page. In 2005 MMO2 offered to buy MMO2 shares before it became O2, and, as we know, O2 was taken over by Telefonica in 2006. BT Group have recently bought EE Group (2015) so BT has come full circle within the mobile arena. Telefonica is a Spanish multinational covering telecoms and broadband services.